The SE148K is a gas detector to be wall-mounted. It is rated to IP54. It has one remote catalytic sensor for flamable gases calibrated for Methane or LPG. The SE148K is normally 230 AC powered, but can also be connected to a 12Vdc external power supply. On the front plate the LED bar shows both the working condition and the gas concentration detected by the sensor. 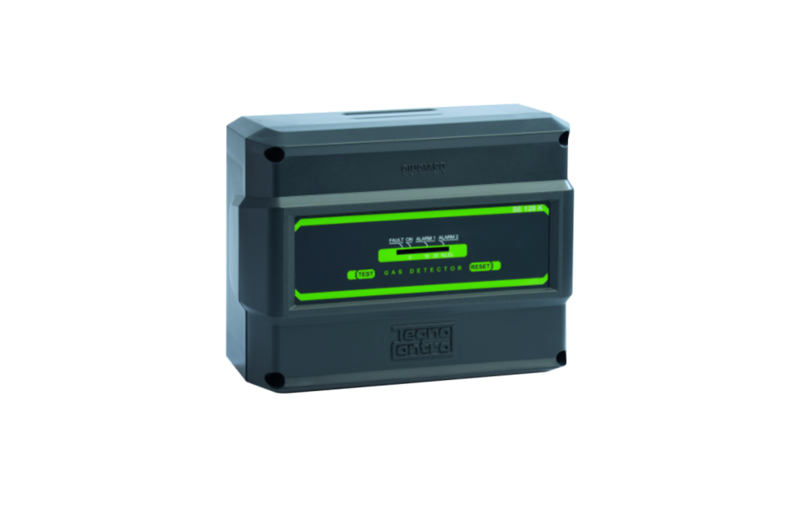 The instrument is supplied with two alarm levels with sealed-type normallyactivated relays outputs (tension-free change over contacts). Fig. 1 shows a typical mains supply wiring diagram with alarm siren and normally closed solenoid valve. Storage Temp./Humidity -25 ÷ +55°C / 5÷95 % r.h.